Picked out two goal races. Big weight goal: 40 lbs by Chicago. Small goal: 15 lbs by get lucky half. Lots of work. Let's do this thing. The last few post titles are all about goals and failure. ha!! Well, this one is not much different yet it is. I am DETERMINED to get this weight off. I took some time off running and was playing tennis pretty heavily. My tennis team made it to sectionals this summer. We came up short in the finals. Alll that tennis got in the way of training. So, i am defering my Chicago marathon entry this year until 2016. I am focusing on my self and getting back in shape. I need this blog for accountability. So, let's do this. How? Well, I am going to use My Fitness Pal and Lean Habits (by: Georgie Fear). I have began running again (after a bout with allergies/sinuses). I am so competitive with myself and it seems if I can't get something right, I tend to not do it at all. So, let's get this right. If that's what it takes, then go all in. I want to run another marathon but I want to be in good shape to train. I aam looking at some halfs this fall because I need a goal. I am also working on another part of me...the decluttered self. At work, I am all organized. But, when I get home, disaster. I want my household to be clean and freeing. Lots of work to do but I know I can do this. I am so excite to run Chicago Marathon for the 3rd time this October! I was doubting I got in via lottery but I did! There will be lots of celebrating for various reasons and I will get into that closer to time! But for now, I plan on blogging my journey to Chicago. I am going to run/walk this one and see what happens. I found a plan by Jenny Hadfield that I olan on following and it started today! Its a 20 week plan. I also plan on "training" my weight. I weighed today and am at my highest weight. I wanted to use Hansons again but decided not too. It was so intense and I loved it last summer but realized that after my marathon last October that I can only go so fast no matter how hard I trained due to my weight. I am going to save my hard hard training for when I actually might see improvements when I weigh less. I am going to put my weight loss efforts into "training" too. Therefore, run/walk it is. I hope to see faster times as I lose weight. I also plan on putting hill repeats and some other strength training into it. We shall see. 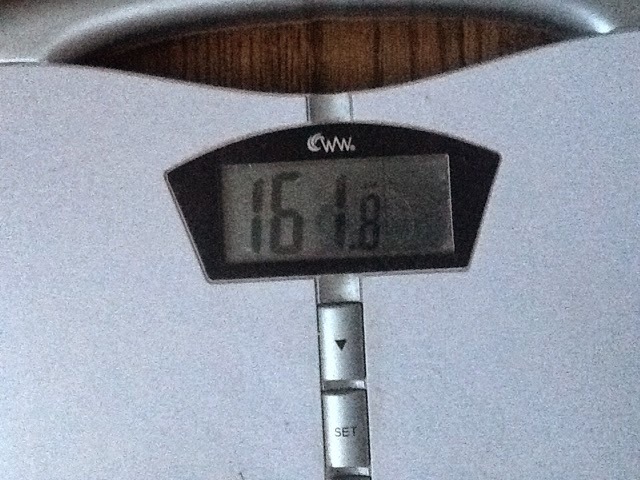 I wil put a link at top of page for my weigh ins. I will weigh in on Monday and my goal is to not weigh everyday to keep my sanity. I tend to go weigh in crazy if I weigh in more. so, here we go! Excited!! Yesterday I signed up again for Weight watchers online. I know. It sounds cheesy but in truth, it has been the online weight program that has worked for me. I am a lifetime member from 16 years ago when I lost 30 lbs. I have tried many other diets hoping for a quick fix but it never works. I find weight watchers is more helpful with portion control and accountability than teaching me to eat right. That part I must do on my own. I tend to think counting points rather than calories is easier. Who knows. But anyway, I am on day 2. So far so good. But I am at that weight where I always get stuck. It pisses me off so bad. I want to dip in the 150s. We will see what the scale says next Saturday. I am also performing an experiment of sorts. I have read several places on the webs that if everything other factors is the same, each pound lost equates to 2 sec/mile faster. I need/want to lose 25-30 lbs...a minute fast per mile on my marathon pace would possible give me a PR this fall. I want that. So bad. On a good running note, I got in 10 miles yesterday. I felt like I lost all endurance from the marathon 3 weeks ago. So, yesterdays run felt good. I want to keep 10 as my long run through the winter and hit some spring half marathons to test the weight loss (if there is in fact wieght loss). With this post, I feel like I am basically starting over with this blog. Maybe I should just delete all my old posts because I never consistently posted. I think this is what I will do. I am starting back over because I have goals. Big ones. Big ones for me anyway. And it all starts tomorrow. Background. 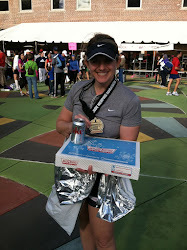 I have run 16 marathons. Nothing fast, nothing slow. Just mid-packer. I did run one kinda well about 9-10 years ago. A 4:27. Other than that, all have been slow. This summer I began training for the Columbus Marathon (which I ran 3 weeks ago). I used the Hansons Method and trained harder than I ever have. I felt very confident going into this race. But it just wasn't my day. I don't really know what happened. I ran a 4:51. I never loosened up. My legs felt the same at mile 1 as they did at mile 26. Tight. The hubs seems to think I worked myself up into the tightness because I was so nervous. maybe. One thing I do know is that I can do better than that. BUT...I am also sitting 30 lbs heavier than my PR race. SO... I am going to pick a fall race in 2015. Get this freaking weight off and try Hansons again. I want to set another PR so bad. so bad. I want to document all of it. for me. Because I know other people and the FB world are going to get sick of hearing about it. I will just write about it. There you go. My speed is turtle speed. I am ok with that. I have had to talk to myself about it. But its all good. I am not fast. But I try to run as fast as I can...be it slow or slower. I like my running group. I like making training plans. I like signing up for races. I like not sleeping the night before a marathon. Typical geeky runner. Follow me as I train, complain and cycle through my running!